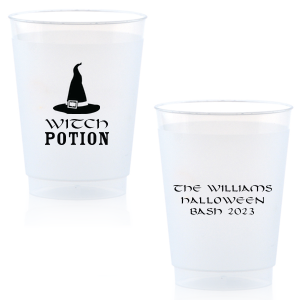 Pass your ghostly signature cocktails in personalized style with your custom designed Halloween frosted plastic cups. 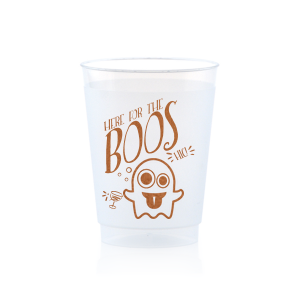 Your “boos” will look great in your personalized Halloween frost flex plastic cups. 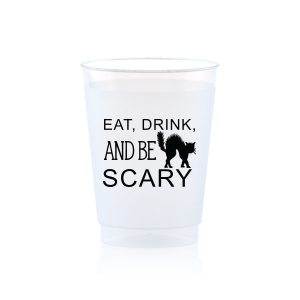 Your signature cocktails will look simply bewitching in your personalized Halloween 10 oz frosted cups from For Your Party. 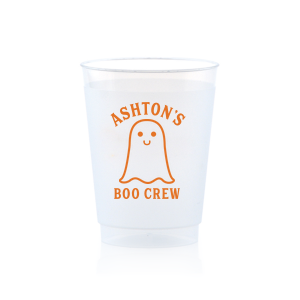 Your Halloween party guests will love how you have paid attention to the details as they sip from their custom designed Halloween 10 oz frost flex cups. With an array of spooky and Halloween inspired graphics available, you’ll be able to easily find a look for your custom Halloween 10 oz frost flex cups. 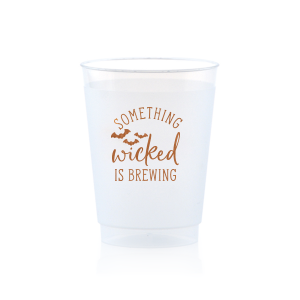 Over 50 screen printing color options insure that you are able to color coordinate your personalized Halloween 10 oz frosted plastic cups with your Halloween party colorway. 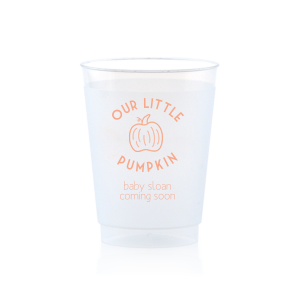 Get started designing your customized Halloween 10 oz frosted cups today!